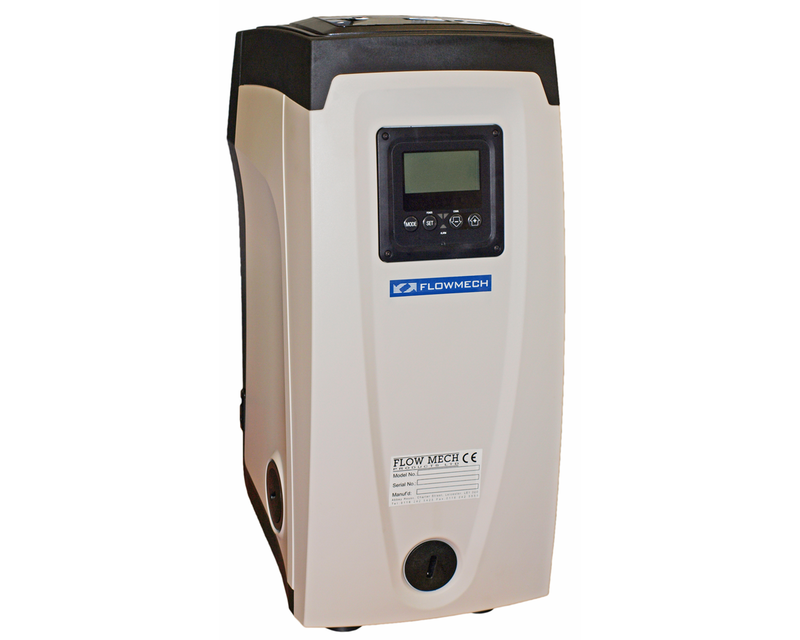 Single pump booster set consisting of a self-priming multi-stage pump, electronic inverter management, flow and pressure sensors, high-resolution swivel LCD display and an integrated 2 litre expansion tank. It can be installed both vertically and horizontally and even tight spaces without a high air exchange. The water-cooled drive and ABS casing provide both protection and sound absorbing function. The vibration damping feet and electronics make it super quiet and very compact.